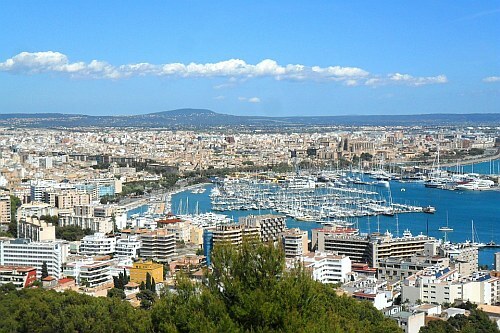 Air Berlin has dropped the price of a few of their May 2018 flights from Toronto to Palma de Mallorca and Ibiza, Spain down to $590 CAD roundtrip including taxes. Just kind of an interesting one, as these Spanish islands are usually pretty pricey to get to, even from Toronto. This is around 40% below the typical cheapest roundtrip prices. The flights to Majorca do have a long stopover in Dusseldorf on the way there, for 6.5 hours. On the way home, the stopover is 3 hours. The flights to Ibiza have 3-5 hour layovers. The flights between Dusseldorf and Majorca or Ibiza are operated by NIKI. toronto, yyz, flight deals, europe, western europe, southern europe, spain, palma de mallorca, pmi, air berlin, ibiza and ibz. 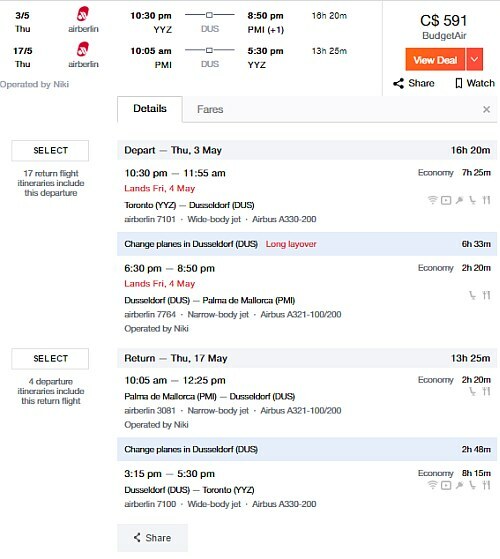 3 Responses to "Toronto to Palma de Mallorca (Majorca) or Ibiza, Spain - $590 CAD roundtrip including taxes"
just a quick reminder/warning, AirBerlin recently declared bankruptcy and there's a chance that they will cease operations in the near future.